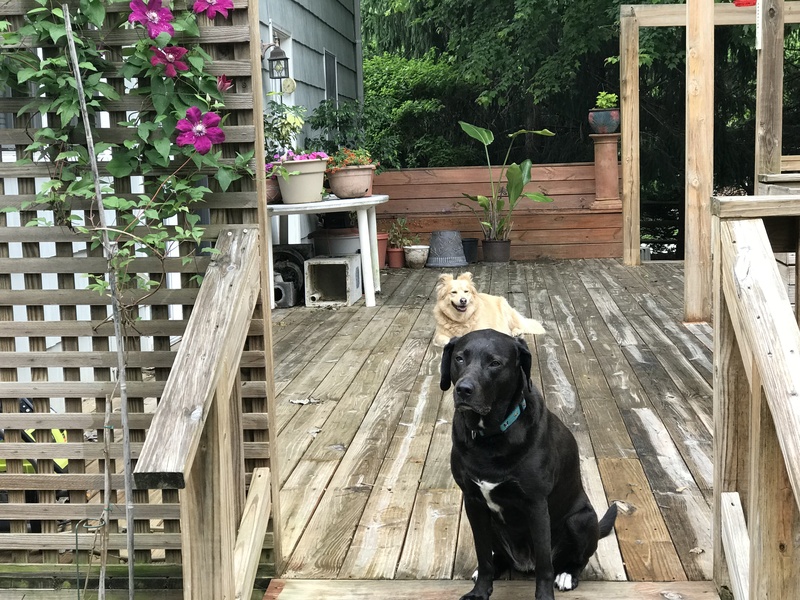 Miss Louise, the serious, and Sofie, the silly, with the Clematis. Now if it would only stop raining long enough to enjoy all the flowers. Louise does look too serious. Tippy says to tell her to lighten up and smell the roses, umm Clematis.